For the dog owner, at-home dog grooming is an opportunity to bond with your pet, and a way to save money on professional grooming. Whether you want plan on basic weekly grooming like brushing and tooth-brushing, or aim to get out the clippers and give your dog a fancy breed cut, review this list of what you need to groom your dog at home before you start. Like most projects, the right tools help ensure your success. If you are thinking about doing more than running a brush through your dog’s coat, spend some time on YouTube, watching videos that are specific to your breed. Study techniques, tools, and grooming standards, and make an honest assessment of how much you can and want to undertake. 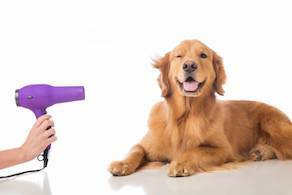 After you’ve familiarized yourself with the techniques of grooming your breed – from double-coated dogs like huskies, to dogs with hair like poodles and schnauzers – purchase the best quality grooming tools you can afford, including brushes, clippers, scissors, and dryers. Quality tools make the task easier on you, and more comfortable for your dog. If you don’t want serious back and arm issues, you must get your dog up to your level. This makes it possible for you to get at your dog from angle, as well as underneath all the way down to its toes. You can purchase a folding dog grooming table, or you can build one with some basic construction skills. Choose shampoo and conditioner that suits your dog’s coat type and any specific skin issues it has. Flea shampoos are useful to augment oral flea products during hot, humid, pest-heavy months. Don’t use human products; purchase formulations specifically for dogs. If you are using a new product, make sure to watch for negative reactions, from chewing and itching, to skin irritations and sometimes even upset digestive systems. 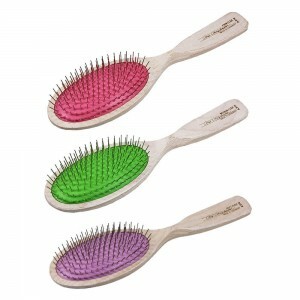 If you have a dog with a coat that should be “stripped” instead of clipped, make sure that you have the stripping comb. Stripping is a tedious process, but necessary for a proper, well-groomed coat on breeds including Airedale Terrier, Cairn Terrier, Affenpinscher, German Wirehaired Pointer, Irish Wolfhound, all sizes of Schnauzer. and Scottish Terrier. If you opt to have one of these breeds clipped instead of hand-stripped, the coat will look different, but not incorrect, unless you are showing. Nail polish for a dog? Hair color? Ribbons and bows? All of these are fun options if you groom your dog at home. Go ahead and have fun, but be sure to use products that dog-safe and non-toxic. Grooming of your dog should include tooth cleaning, and this is something that you can easily do at home. Tooth cleaning isn’t generally part of a dog groomer’s services without an extra charge. Buy a dog toothbrush and dog toothpaste, and scrub your pup’s pearly whites at least once a week. Taking care of dog’s nails is an important part of grooming, especially if your dog spends a good amount of time on grass and other soft surfaces that don’t naturally shorten nails. 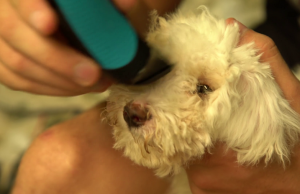 Talk with your vet or a groomer, and determine the tool that works best for your dog, which will be either clippers or a grinder. 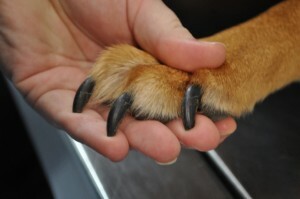 Get a short lesson on how to clip your dog’s nails safely, then take over the task yourself. Good behavior while being groomed is part of basic training for your dog. Cooperation starts with lessons while young, and consistent direction. You have to tell your dog what you expect of him during a grooming session. Take your time. Start small – do just your dog’s legs, or tackle eyebrows, or do a shampoo and trim before you try a fancy show cut. Don’t stress if you make a mistake. Dog hair grows back. 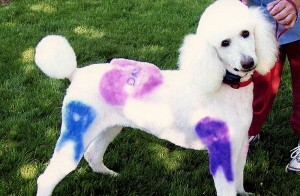 And, there is always a professional groomer who will help mitigate your mistakes and make your dog presentable. Remember, your dog really doesn’t care if you groom him less than professionally!